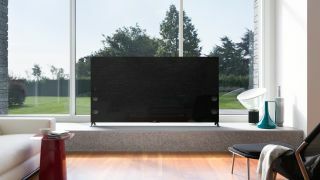 Sony has announced a dizzying new array of TVs, many of which have Android TV for apps like Netflix and other catch-up services. It also has new 4K screens, including two with HDR support. Sony's largest new screens are 75-inches. The X940C is at the top of the pile and costs a magnificent £7499 (the list price is $8000 in the US). This screen, along with the X930C, will support Sony's HDR functionality. This will be "added" via a firmware update later on in the summer. The X930C comes to the UK in 55- or 65-inches and will cost £2,599 or £3999 depending which you go for. The US only gets the 65-inch model, and it will cost $4,499. While there's no mention of price yet, Sony's also talking up the X900C, which it claims is the "thinnest LED TV in the world". At 0.2 inches thin it's certainly slighter than most smartphones on the market. Sony has also made an effort with its picture processing, and is very pleased with the X1, which it says will produce the best pictures of any TV it has produced yet. There will also be Triluminos panels on the X850 and above ranges. This is Sony's way of saying "quantum dot", and offers massive brightness and contrast boosts to TVs. It's also needed for HDR display. Android TVs - as all Sony's smart models are - also bring with them some great advantages. As well as access to plenty of apps, including PS Now, which gives you access to streaming games for a monthly subscription. This service is due to launch in the UK soon, and will open up a lot of Sony's library of older games, as well as PS3 titles. Sony has won a lot of love for its TVs in recent years, something that it had lost after the early days of LCDs. It seems now that the brand, which was once synonymous with TVs is back in the game. We'll have reviews as soon as we can lay our hands on samples. We're also seeing 4K gain a foothold now - something Sony is very invested with, thanks to its film studio and Blu-ray ties. We should see even more come from this in 2015 with the standards now defined for 4K and HDR broadcasts as well as the new Blu-ray format.